With a daily trading volume of over $4 billion, the Forex market is one of the largest markets in the world. Initially the Forex exchange market was mainly associated with large banks and corporations, but this has since changed over the last few years and now Forex trades are exclusively made via brokers. This adjustment in the way the market operates has created the need for enhanced supervision and regulation. Also, the entire regulation process is a bit demanding and sophisticated as it is relatively expensive and requires a lot of time. Because of this, many trading firms and brokers try short to change or swindle unsuspecting clients by ignoring the simple rules of trading. The main goal of regulation in the industry is to ensure ethical and fair business behavior. This basically means that all signal sellers, investment banks and forex brokers must operate within the rules and regulations set by the different regulators. Technically the brokers must be licensed and registered in the location where they operate. Most registered brokers are usually subject to regular audits, evaluations and reviews to determine whether they meet the required standards or not. Nevertheless, note that not all countries regulate Forex trading, so don’t be surprised to find some brokers who are unlicensed yet appear genuine. Though we cannot assume that all unlicensed brokers are doing anything unethical, if anything goes wrong, there is no any other place to seek assistance or redress. In other words, unlicensed brokers don’t have to comply with any rules and can do whatever they want when trading. 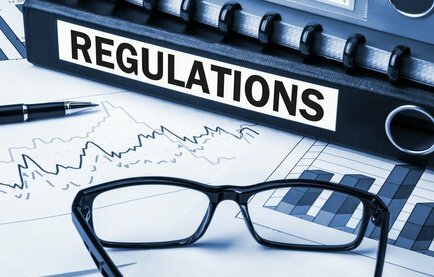 Why is Regulation Important ? Regulation not only offers security and safety but also reliability. There are very many brokers out there who give attractive bonuses to lure traders, but these high bonuses won’t have any impact if a customer can’t withdraw them. On the other hand, licensed and regulated forex brokers don’t engage in any illegal practices to enhance their profits as they are subject to regular evaluations, audits and reviews. This is one of the main advantages of regulation. Anyone who has dealt with unregulated brokers before will tell you that it can be very hard to withdraw money especially when the trades are low. Because they are unregulated they will only promise you heaven to get your business, but once you invest getting your money back will be like false hope. With regulated brokers however, they are forced to keep enough money to execute complete contracts. They are also not allowed to use your money to pay their debts. Due to recurrent supervision by the various regulatory bodies, licensed brokers must submit to the various regulations and rules set out. This includes things such as audits which is very important. For instance if a trader is listed as straight via an ECN model or processing, they cannot change the trades such as B-booking. In a regulated environment, even if a trader disappears, there is a still a chance that customers’ money will be recovered. Depending on the country or jurisdiction, some regulatory agencies offer an extra level of security. For instance in some countries, brokers are required to part of some sort of compensation fund which is a pool initiative used to pay customer claims in case a broker disappears. In such an environment customers will be at peace dealing with any broker. Today money laundering is a very big problem all over the world. When operating in a regulated environment, brokers are often forced to provide some sort of documentation on how they get and use their funds. This might sound a bit tiresome but it is always good to be part of a regulated system where due diligence is applied in every transaction because you can always seek redress in case of anything than to be part of an unregulated system where you can’t seek redress anywhere. The United States – National Futures Association (NFA): This agency regulates all brokers in the United States. Its main goal is to safeguard integrity of the futures industry as well as protect investors. U.S CFTC (Commodity Futures Trading Commission)- This is an independent body of the United Stated Federal government that oversees all traders in the US. The body enforces all its regulations and rules and prosecutes all firms or entities that engage in fraud. United Kingdom – The FCA (The Financial Conduct Authority)-Regulates the financial industry in the U.K.
Switzerland – Association Romande des Intermediares Financiers (ARIF), Swiss Bankers Association (SBA), Swiss Financial Market Supervisory Authority (FINMA), Swiss Federal Department of Finance (SFDF)- A Swiss government regulatory body that regulates and oversees all financial firms in Switzerland. The Swiss PolyReg- A self-regulatory agency approved by the Swiss Federal Money Laundering Control Authority, that oversees all financial legal entities that operate in Switzerland. Australia – Australian Securities and Investment Commission (ASIC), Regulates Australia’s financial and corporate markets. Actually it acts as US’s CFTC in Australia. Also note that in some economic zones like the European union, each country is responsible for aligning its Forex market in accordance with the MiFID (Market’s in Financial Instruments Directive).Also the concept allows firms licensed in one jurisdiction to operate in another European Union Jurisdiction. Forex traders who operate in countries or jurisdictions that are not regulated can get away with virtually any suspicious behavior. In addition some unregulated traders can be very shady and fail to provide commensurate services to their clients. What’s more, if you are not careful, they can bust with your money never to be seen again. So it is very important that you go for a broker that is regulated. If the trader is regulated in several countries this is a plus as it adds an extra layer of accountability and oversight that the company must play ball to.